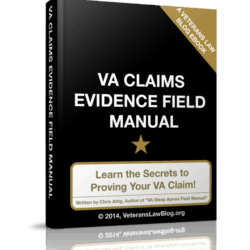 The Ultimate VA Claims Effective Date Checklist – how to get an earlier effective date in your VA Claim or appeal. In any VA Claim, there are 4 pillars. The first 2 are known as “upstream” issues – though this phrase was coined by a CAVC Judge (I believe), it refers to the elements of a VA claim pertaining to eligibility and service connection. The second 2 pillars are called “downstream” issues – they are the 2 issues that determine how much you get paid by the VA: your impairment rating multiplied by the number of months back to the correct VA Claims effective date, governs the amount of past-due benefits to which you are entitled. So you can see that to make sure you are maximizing the amount the VA pays you in your service connected disability compensation claim, you have to make sure that you get the earliest VA Claims effective date. Rule #1 for Getting an Earlier Effective Date in Your VA Claim. It’s not – first of all, most Veterans get their ratings decision and can tell right away that the VA picked the wrong effective date. But they then go out and file a CUE claim to get an earlier Effective Date. So let’s just hit Rule #1 of Effective Dates right out of the gate: the CUE claim should be the absolute last thing you try. Only after you have tried every appeal, every other argument for an earlier effective date, should you try to file a CUE claim. Why? First, hey are notoriously hard to prove and hard to win. Second, if you file a CUE claim and lose, that’s it, no more chances. I’ve seen far too many cases where a Veteran had an 80-90% chance of getting an earlier effective date if he or she had made the effective date challenge in the original appeal process of the original VA ratings decision….but they filed a CUE claim, failed to prove it up properly, and lost. There is no deadline for when you can file a CUE claim (although there are cases where your allegation of CUE can be subsumed in a prior final BVA Decision…more on that later). The Ultimate Checklist for Earlier Effective Date arguments. Now, this is what I have developed at my law firm. These are NOT the only earlier effective date arguments….there are some nuanced types of claims, particularly Agent Orange and Nehmer claims, that might use almost entirely different earlier effective date rules. 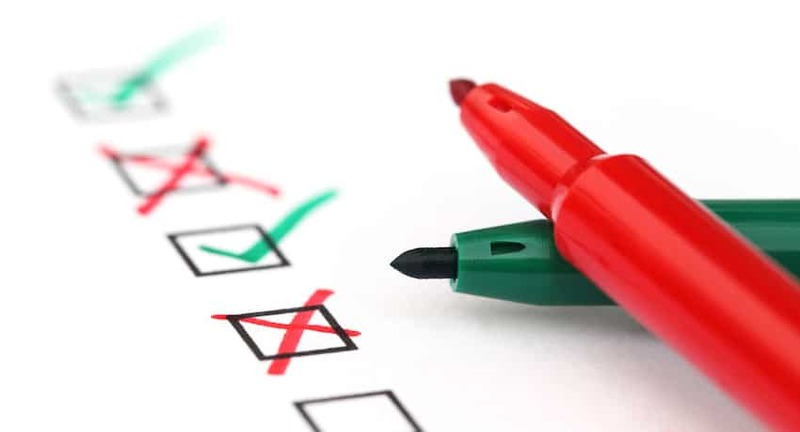 This checklist is what I use when I look at a VA Ratings Decision to see if there are any remaining ways to get the Veteran more past-due benefits. As time passes, I will add articles explaining each of these in more detail. When I do so, I will include a link to the post, or posts. Follow the questions in order, and make the argument until you lose or win…if you lose, move to the next argument. You are going to want to get your VA C-File to explore these possibilities…without it, it becomes impossible to really know if there is any validity to your argument, evidence to support it, or factual or legal flaws that undercut it. Don’t try to get an earlier effective date assigned through a Request for Reconsideration. No matter who tells you this is a good idea, it almost always is NOT. File the Appeal, and then, if you must, seek reconsideration. But file the Notice of Disagreement first. Once you have the earliest effective date allowed by the “general rule” for effective dates, you are going to want to see if 38 CFR 3.156(c) applies. This regulation states, basically, that if a reopened claim for service connection is granted based on new military or military medical records that were not in your original claims file, but the VA should have gone out and found, you are entitled to the effective date of the original claim for the original denial that you reopened. Example: You file a claim for service connection of your migraine headaches in 1976. Your claim is denied in 1977 because the VA says you have no evidence that you were diagnosed with migraines in service. In 2015, you request your Military Service medical records from the National Archives, and lo and behold, find evidence that you were diagnosed with migraines in service. You submit these records to the VA, and file a claim to reopen the prior denial of service connection for migraines. The VA grants your claim relying on the military medical records you provided. Under 38 CFR 3.156(c), you are entitled to the effective date of the original claim in 1976. Next, you are going to want to see if there are any previous claims that are open and pending. You have a prior claim for the same condition, or that reasonably encompassed the condition you just won, and it was never finally adjudicated by the VA, then it is still open and pending. Example: You just won service connection of your PTSD in 2017. In reviewing your C-File, you find an old claim for service connection of your PTSD that you filed in 1998. The VA issued a decision denying the claim, but when you look at the decision, it was not sent to your VSO or lawyer (or to an address that was not your address of record in the file at the time). Because the VA failed to provide notice, that claim is open and pending, and your 2015 PTSD claim’s effective date could be the 1998 claim date that is still open and pending. Example: You just won service connection of your PTSD in 2017. In reviewing your C-File, you find an old claim for service connection of your PTSD that you filed in 1998. The VA issued a decision denying the claim because there was no evidence of a current diagnosis. You received the decision, but in looking through your C-File, you see that you sent in a lot of civilian medical records for treatment of PTSD in a local hospital shortly after you separated from military service. Because the VA never addressed this evidence in a VA Rating decision, your claim for PTSD was open and pending since 1998 and would serve as the effective date for the 2017 grant of service connection. So you could not find any open and pending claims for service connection using the regulations. Now what you want to do is look for old claims that reasonably encompassed the condition that you just won service connection for, and see if you can make an argument that your current claim was reasonably encompassed in the prior claim. This is a tricky argument…mostly because the VA itself doesn’t understand it. The VA thinks that you cannot file a claim for benefits without a claim form that specifically mentions a particular condition. Time and again, the courts have told them that they are wrong: the courts have said that the VA should liberally construe the record to determine if additional conditions were raised in a prior claim even though they weren’t specifically mentioned on the VA Claims form. Now, there is “some” merit to the VA’s arguments after March 2015 – after that date, you need an informal or formal claim form to be filed to demonstrate intent to file a claim. Prior to that date, though, this is not the case. Now, if you have to “reach” to make the argument, you are not going to win, in all likelihood. The courts have also been very clear that the VA shouldn’t have to go on a fishing expedition to discern every possible claim that could have been possibly raised in a claim for a separate and distinct condition. medical records in an original claim for Condition A that show that Condition B was caused by or related to or aggravated by Condition A.
claims that describe symptoms or impact on body systems, that are subsequently diagnosed in the course of developing the claim. More on this later….we’ll get together a whole post on what it takes to prove that an earlier claim “reasonably encompassed” a later condition for effective date purposes. Earlier Effective Date Argument #4. Was the claim that you just won a claim for increased rating? If so, remember that increased rating claims can have effective dates up to 1 year prior to the actual claim for increased rating, if you can prove that the condition worsened in that preceding year. EXAMPLE: In September 2015, you filed a claim to increase your prostate cancer rating from 40% to 60% because your “voiding” function worsened. The VA grants the increased rating effective September 2015 saying that the effective date of an increased rating claim is the date of the claim. But you have evidence that your prostate cancer worsened to the 60% level as far back as August 2014. September 2014 is the earliest effective date you can get (see, however, Arguments 1, 2, and 3, to see if there was an earlier original or increased or reopened rating claim prior to that date that would support an even earlier effective date). EXAMPLE: In September 2015, you filed a claim to increase your prostate cancer rating from 40% to 60% because your “voiding” function worsened. The VA grants the increased rating effective September 2015 saying that the effective date of an increased rating claim is the date of the claim. But you have evidence that your prostate cancer worsened to the 60% level as far back as January 2015. January 2015 is the earliest effective date you can get (see, however, Arguments 1, 2, and 3, to see if there was an earlier original or increased or reopened rating claim prior to that date that would support an even earlier effective date). Earlier Effective Date Argument #5. If you have a claim denied, and the law changes in such a way that your claim is now granted, then you may be entitled to an earlier effective date base on the “liberalizing rule effective date rule”. Yes, it’s a mouthful, and there are a lot of “ifs, ands, and buts” that control this one….so many that there will be a future post on this topic to go into more detail. Sometimes it depends on what the rule change says (new laws typically state when they go into effect, and this effective date rule often turns on how far after – or before – the new law’s effective date a Veteran filed a claim. This is one of the more complex effective date rules, especially when you throw Nehmer into the mix. More on that later. At this point, our arguments are getting harder and harder. We are about to dip our toes in to the waters of the CUE claim. The first thing I want you to do is to make a timeline for the particular condition that you want an earlier effective date for. Write down, in chronological order, the date of claim and the date of the VA Ratings decision for each claim that relates to the medical condition. It might look like this. Since the most recent claim for your condition was the March 200 claim that was denied May 15, 2002, start with THIS ratings Decision only. Scour the decision for any CUE – and if it’s there, raise the CUE claim and pursue it until you win, or lose. Regardless if you win or lose, go to the Oct 1995 claim denied in January 1997 – scour it for CUE and raise any CUE you find until you win or lose. Keep repeating until you stairstep all the way back to the first claim. Be very careful here – any time you have a CUE claim, if there is a BVA decision that pre-dates the claim in which you allege CUE, you have to be mindful that the prior final BVA decision may have “subsumed” the CUE. This is really tricky stuff, here, and we’ll save it for a later post. Just now that the earlier you want your effective date, and the deeper into this argument list you go, the harder and more intricate the arguments get. If you are trying to get a 30 year old claim set as the effective date, don’t think for a minute that the VA is going to lay down and surrender. Expect a fight, and be ready to stick it through for the long haul. Also, be patient – lower level raters at regional offices aren’t going to have the authority to go back this far to grant an earlier effective date. The older the effective date, or the larger the past due that you will likely receive, the more likely it is that the BVA is going to have to decide the issue for you. There is a relatively unused section of the US Code found at 38 USC 503. This is where Congress has given the VA Secretary authority to award equitable relief – legal mumbo jumbo for “making a wrong, right, even if the law doesn’t allow it to happen”. I believe that VA Secretary McDonald is the only VA Secretary I know to use this power, and he used it to grant new exams and new ratings decision for any veteran whose TBI claim was caught up in that VA scandal. But then, “Bob” was always a pro-Vet secretary, and unlike the current secretary and almost every past one, he was willing to go the extra mile to right a wrong. If you lose a Section 503 request, the BVA and the CAVC are not lawfully permitted to review it. A Section 503 claim is – TRULY – the final “Hail Mary” toss up, hoping that a VA Secretary cares enough (and has the political chutzpah) to do the right thing. Stay tuned to this post…as time goes on, I will add more and more effective date arguments into the checklist….add a note in the comments section if you know of one that I might consider adding to the list. I couldn’t have done this without VLB material and the C-File you constantly preach to obtain. Currently gathering 5 Star evidence and will pursue claims for recent diagnosis of OSA, PTSD and Sinusitis. Strongly encourage and recommend all VLB bloggers and visitors whom wish to pursue their VA claims per se, to obtain all of the material offered on this website. You will not regret it as it will pay for itself after the first decision. Sir, Thanks for that feed-back! I truly believe that all veterans can do this on their own, we just need folks to show us the “how” of the process. Congratulations on your big claim wins, and please let me know how to make the site better! Yet another great post!! I’ve only been following your blog since June 2016. The information you are “sharing” is not only valuable but extremely vital to the success of a veteran’s claim development. I did subscribe to the annual membership and purchased every VLB Product. Since then I’ve successfully moved from 10 – 80%! Just a little over a year!! My first claim netted 40% for TBI and a subsequent NOD (a first also) from that claim gained a 50% SC for headaches. A fully developed claim submitted in Dec 2016 resulted in an increase to current 80% combined. This would not have been possible without the valuable information you make available to the lay person. In all sincerity, thank you very much for your service and continued service in assisting our fellow Veterans. Thanks for the feedback – and CONGRATS on moving from 10-80%!! That’s phenomenal work, great job! !